Our Kansas City orthodontist would like to send out a heads-up about the perils of at-home orthodontic care. 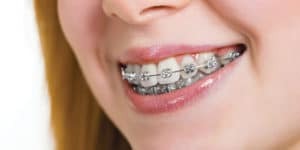 There are companies in operation today advertising DIY orthodontics designed to help people save money on the orthodontic treatment they need. These companies sell plastic aligner trays that look like Invisalign which are created from impressions consumers take of their teeth at home. Dr. Weber is a licensed and experienced orthodontist who offers individualized orthodontic treatment to patients of all ages living throughout Parkville, Kearney, Liberty, Gladstone, Platte City, North Kansas City, and the greater Kansas City area. If you want to improve your smile safely, predictably and effectively with braces or Invisalign, we encourage you to request a free consultation with Dr. Weber today. We hope to hear from you soon!